We invite you to play a fun matchmaking game and celebrate 5 of the redwood forest’s unlikely—but enduring—loves. Everyone at Save the Redwoods League is so excited about the new giant sequoia curriculum for K-12 classrooms offered by the California State Parks PORTS® program, which stands for Parks Online Resources for Teachers and Students. This distance learning program features the giant sequoia of Calaveras Big Trees State Park in its new unit and uses an innovative system incorporating interactive media and virtual reality platforms to teach about the ecosystems, wildlife, and history of California State Parks. In February, Oregon’s Fish and Wildlife Commission voted to reclassify the marbled murrelet from threatened to endangered. The vote is good news, considering that murrelets have lost an estimated 78,600 acres of nesting habitat in Oregon since 1993. By some models cited by the Oregon Department of Fish and Wildlife, the species risks an 80 percent chance of extinction by 2060 in certain parts of the state. California State Parks and Save the Redwoods League are collaborating to study the fallen Pioneer Cabin Tree in Calaveras Big Trees State Park to learn about its long life and the environmental changes within the forest over time. As 2017 comes to a close, it’s that time again for the “best of” lists to come out. Best movies of the year, best music, etc. So here is my own “best of” list for the past year. Fern Watch, an effort to monitor drought and climate change in redwood forests, has sprouted an exciting new extension. 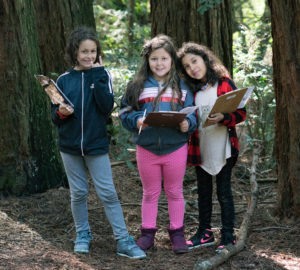 An outdoor science class for homeschoolers, led by Elaine Esteban, began their own fern-monitoring project in British Columbia. Robert Van Pelt, a forest ecology researcher and affiliate assistant professor at the University of Washington, specializes in big trees, and lately, he’s been focused on a secluded one-acre parcel located in the Big River Watershed, the Fritz Wonder Plot. We are sequencing the coast redwood and giant sequoia genomes. 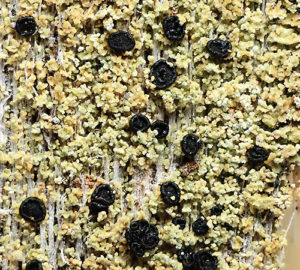 While the first steps in this project will happen in the laboratory, the goal is to rapidly put this new understanding of redwood DNA to work for conservation. To support vigorous coast redwood and giant sequoia forests in the decades ahead, we will need to protect not only the remarkable structure of the forest, but also protect the genetic diversity that underlies it. The sword fern, one of the most common redwood forest plants, has become prominent in my life over the past few years. This is mostly due to the League’s Fern Watch project, which monitors the health of sword ferns throughout the redwood range. Even though these ferns are common, little is known about their ecology and how they respond to climatic change. This summer proved to be momentous for the recovery of the California condor. Joe Burnett and Amy List, biologists at Ventana Wildlife Society, located the nest of two condors, #538 and #574, inside a hollowed-out coast redwood in Big Sur. Over the years Burnett watched these two birds, nicknamed Miracle and Nomad, as they fledged and grew up in the wild. Now, they’re raising their own chick — the first chick, since the 1980s, born to parents who were not raised in captivity. When one of my Ecuadorian friends, who works in la selva, came to visit me here in California, the one place he wanted to visit was our iconic forest, the redwoods. It’s estimated that about 150 species go extinct per day, so it is always exciting news when a new species is discovered! 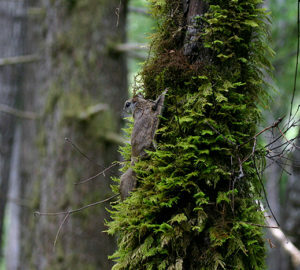 This spring, we learned about a new mammal found in the coastal redwood range called Humboldt’s flying squirrel. Summer solstice reminds me of nature’s seasonal cycles and excites me for what’s to come. The study of these seasonal cycles, phenology, is used by the League in our science and education programs.